a. Merchant with WordPress site. b. Merchant with WooCommerce Plugin already installed with the WordPress site. a. Read the installation detail here. b. Install the plugin to WordPress. c. Get your Merchant ID & Secret Key for the integration from senangPay Dashboard. d. Insert your Merchant ID & Secret Key to your WooCommerce setting in WordPress. e. Finally, test your shopping cart. 1. Please download the plugin from the WordPress site. 2. You can also install the plugin directly from your WordPress admin panel. 3. 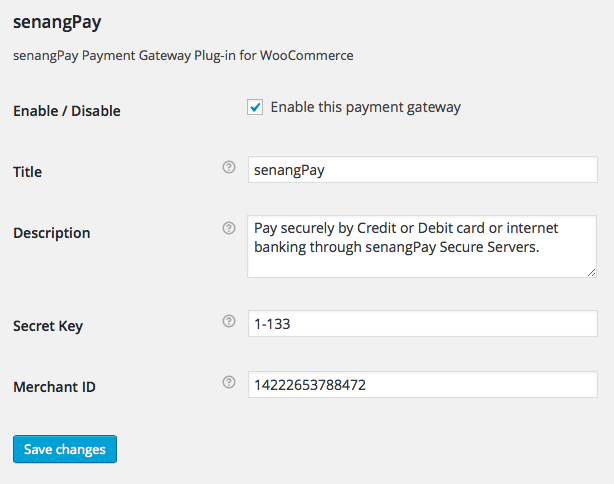 The files name is senangpay-payment-gateway-for-woocommerce. Next, you need to get your merchant ID and Secret Key. 1. Login to your senangPay Dashboard. 2. Go to Menu > Settings > Profile. 3. 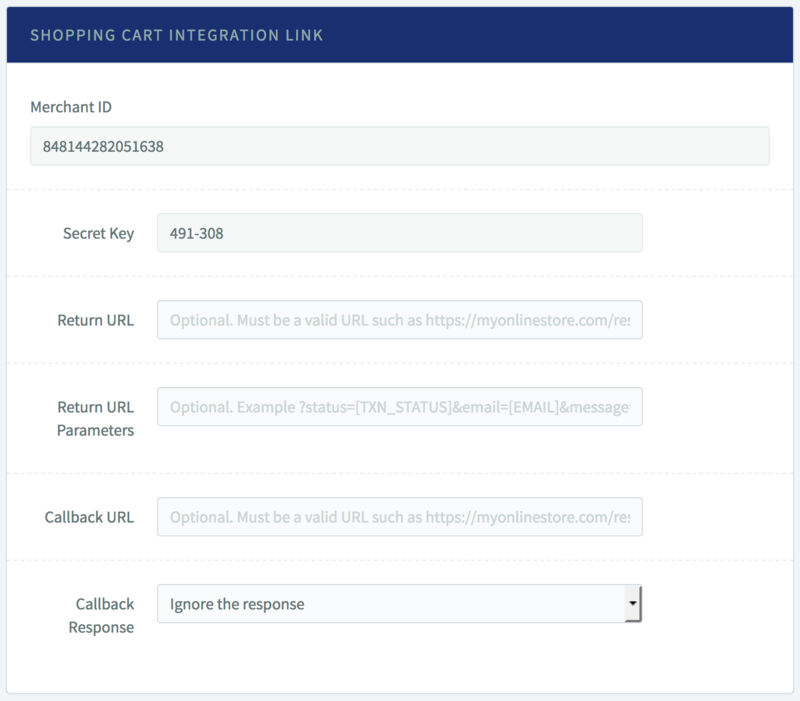 Scroll down the page until you see the “Shopping Cart Integration Link” section. 4. Copy the “Merchant ID” number and the “Secret Key” number. For example http://your_domain.com/checkout/ to redirect the customer to “my account” page after payment. 7. Please set the Callback Response to “Ignore the response”. Now, this is the almost last part. You need to setup your WooCommerce setting. 2. Go to the WooCommerce Plugin Setting. 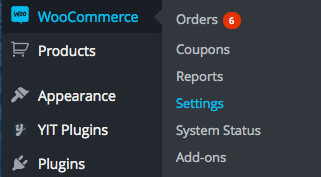 Click Menu > WooCommerce > Settings. 4. You should see a setting page as displayed below. 5. To enable senangPay Payment Gateway, tick on the checkbox. 6. Insert any preferred title on the title field. 7. Insert any preferred description on the description field. 8. Insert your “Secret Key” that you copied from your senangPay Dashboard. 9. Insert your “Merchant ID” that you copied form your senangPay Dashboard. Now, this is the last part. 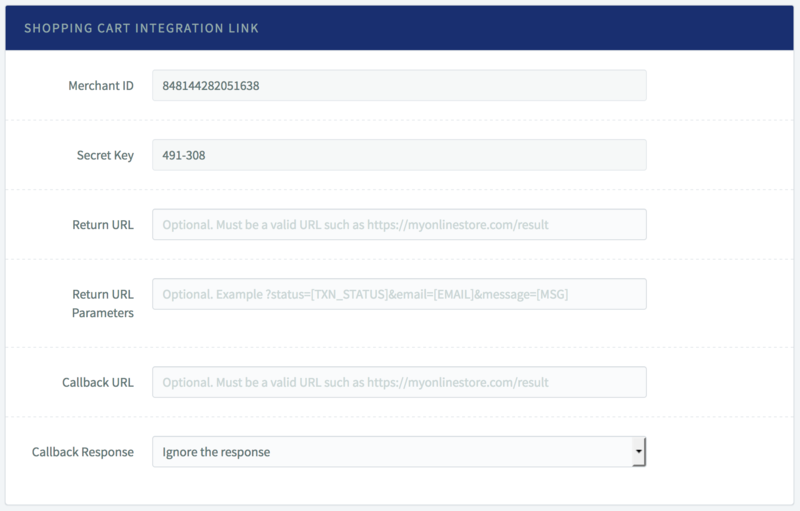 You need to test your integration whether it is working or not. 1. Go to your Online Cart page. 2. Select any product, and add to cart. 4. You should see the payment option to pay with senangPay is visible. 5. Congratulations, your Online Business is now on another triumph level! 1. You must make sure that you have installed WooCommerce plugin before you install the senangPay plugin, otherwise, your WordPress site will be a blank screen. 2. If you want to uninstall your WooCommerce plugin, please uninstall the senangPay plugin first, then WooCommerce plugin otherwise, your WordPress site will be a blank screen.